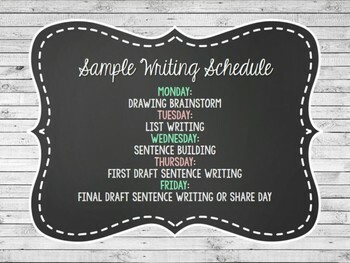 Looking for a way to get your students writing every week? 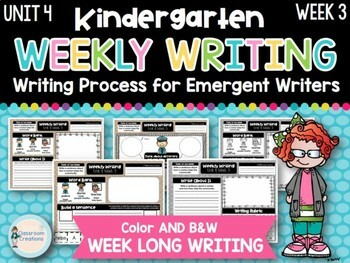 This resource moves your emergent writers through a modified writing process each week based on the writing prompt presented in Reading Wonders. Although is made to align with the Reading Wonders curriculum, it can be used in any classroom, as it is made to be a stand alone resource. 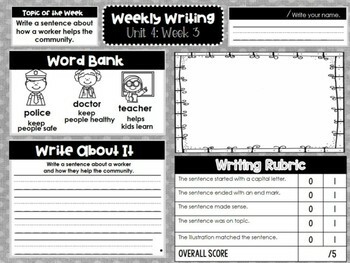 These make great writing center additions, homework or morning work assignments! 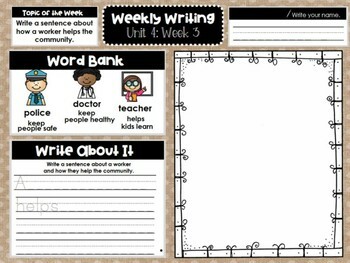 WRITING PROMPT OF THE WEEK: Write a sentence about how a worker helps the community. Follow my store to stay posted on new products and sales!